Spring is the best time to whip out those bright colors that were kept hidden in the drawers after the long cold winter and turquoise is my all-time favorite. While turquoise looks best against darker skin tones and can really make brown eyes pop, it will look good on lighter eyes and skin as well. Just make sure you pick one that has a metallic or satiny finish. Matte turquoise can look dated. 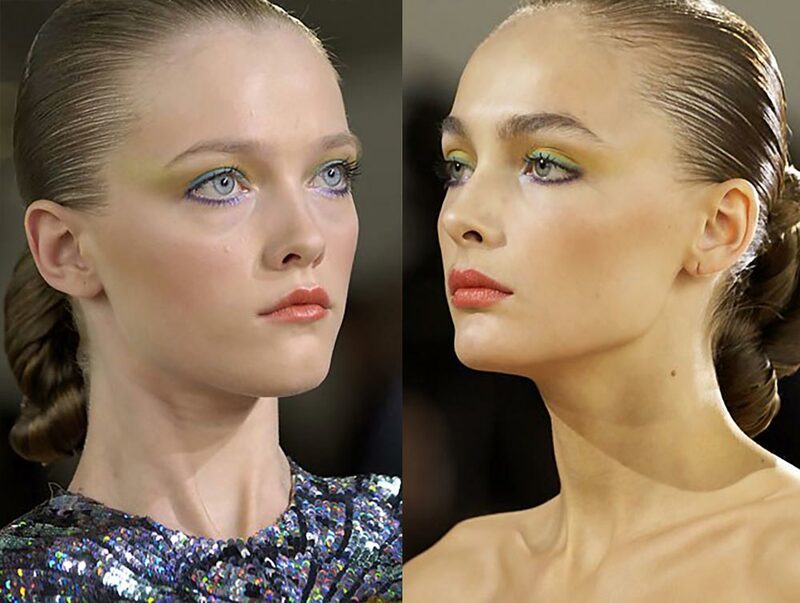 At Gucci S/S 2009 above, lead makeup artist Pat McGrath did a bold look with a rich metallic turquoise eyeshadow on the lid blended past the crease, a light green as a highlighter, lots of eyeliner and false lashes. 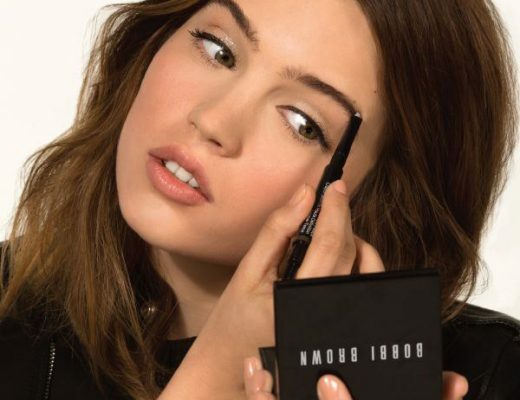 She also highlighted the models’ cheekbones and cupid’s bow and added a soft pink lipgloss on the lips. 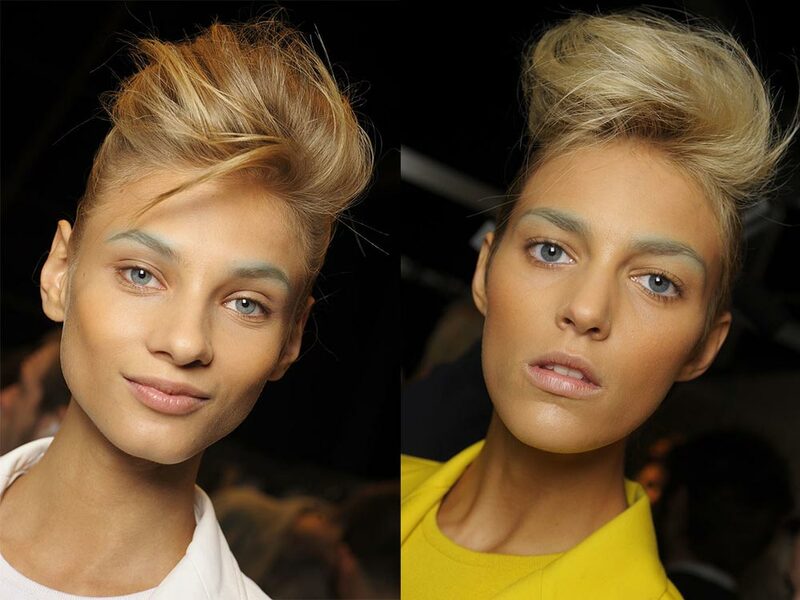 At Max Mara S/S 2009, models strutted in bronzed skin with eyebrows that were colored with a matte turquoise color. At Emanuel Ungaro S/S 2007, turquoise was applied closely to the upper lashline with a warm gold hue on the crease blended towards the temples and a violet on the lower eye. 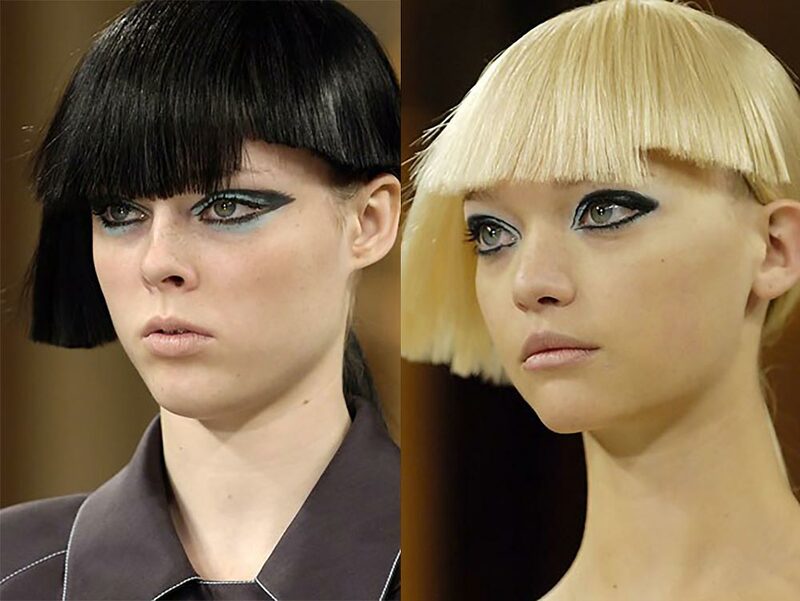 At Karl Lagerfeld Spring 2007, models were sent on the runway with a creamy turquoise around the eyes paired with graphic black eyeliner and barely-there lips. 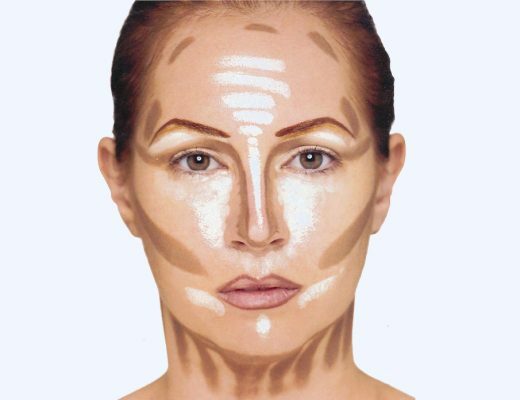 Below is a FOTD I did inspired by the Gucci show. And your turquoise look is awesome!!! Really brightens things up =) Love! I totally love your look more than the ones you were inspired by!! Oh it’s great ! I love your look (I’m going to try this monday !). I love your take on the Gucci look. I think you did it better 😉 I would have never dreamt of using Swimming as a highlight. Looks perfect with the right colors! You look lovely with the turqoise lids! Love this look, thanks for posting! wow… colors look great. i think u look better than those models. The colors really show a lot on you. love the eye makeup!! it suits you so well. i agree with everything that was written above; you wear these colours better than the models do. btw, i love how your colour contacts contrast against your black hair. what contacts are you wearing? HOT HOT HOT! you should totally be a model and represent for us asian girls. happy chinese new year btw! Did you use black eyeliner on your lid??? I’m wearing the Geo Tri-Color contacts in Brown. I did not use eyeliner on the eyelid. 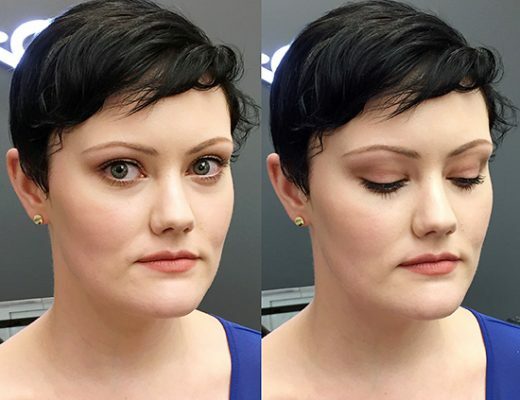 It was Jane’s Clubbing eyeshadow but I used it wet to line. I am obsessed with this look!! It looks gorgeous — i can’t wait to wear it out. Btw the mac eyeshadow WaterNymph is discontinued right? Waternymph was a limited edition color from the Lure collection but Shimmermoss (which is from the permanent line) is a close dupe. can you plz tell me what color is ur lipstick.? OMG, did u really went to the hight school with her? if so… i can’t believe!! !